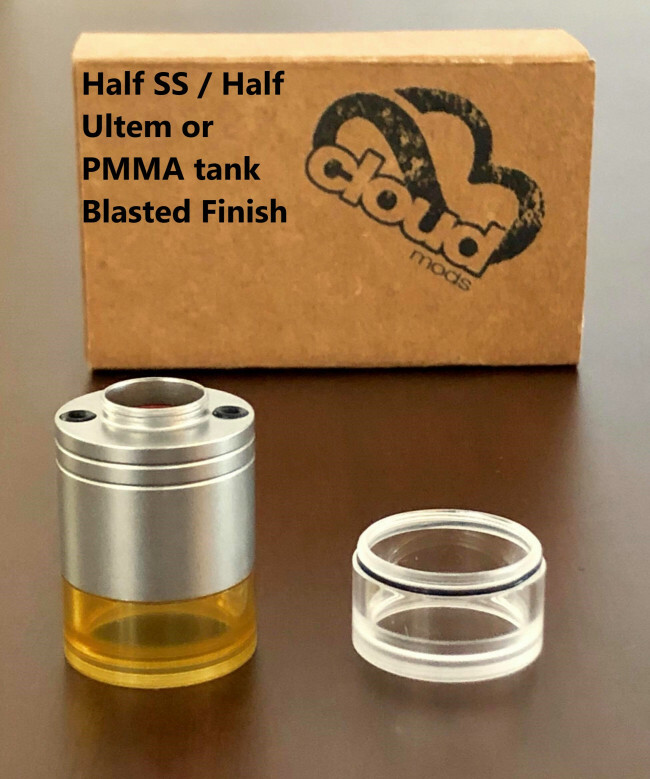 Half SS / Half Ultem or PMMA tank, Blasted Finish. Suitable for CloudOne Blasted (V4). It is sold as a set of 1 SS part, 1 Ultem part and 1 PMMA part.